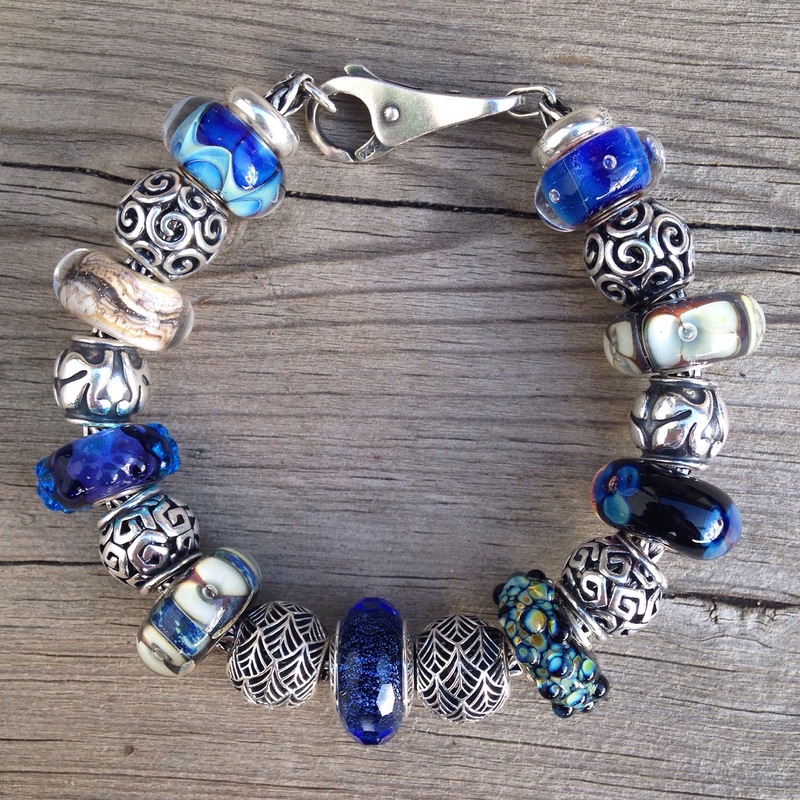 I tried to make a bracelet of blue glass Trollbeads to go with the Pandora Blue Fascinating Iridescence. 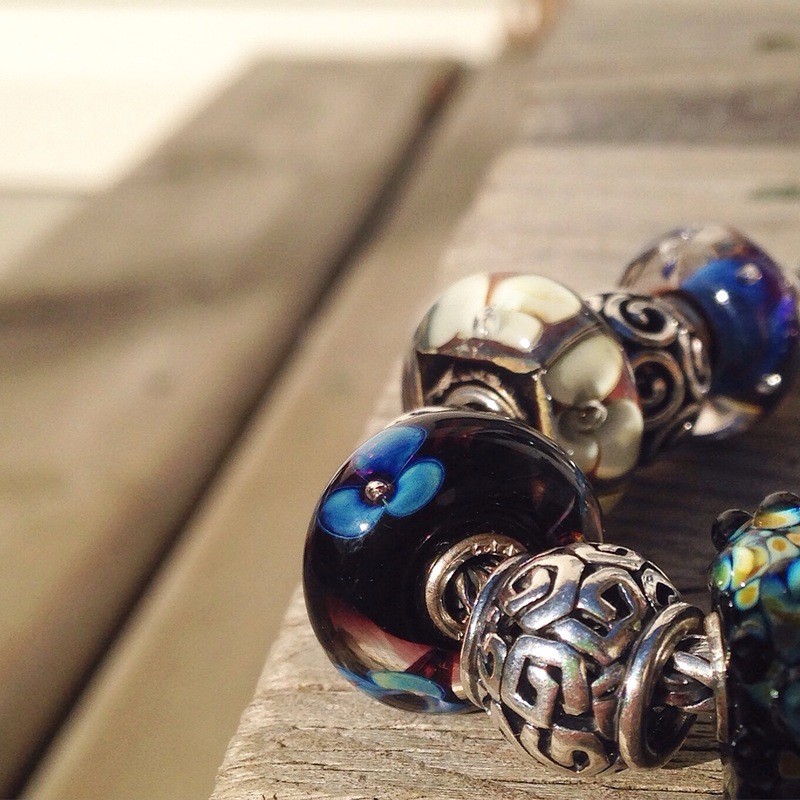 Lots of Trollbeads are so interesting from the side. 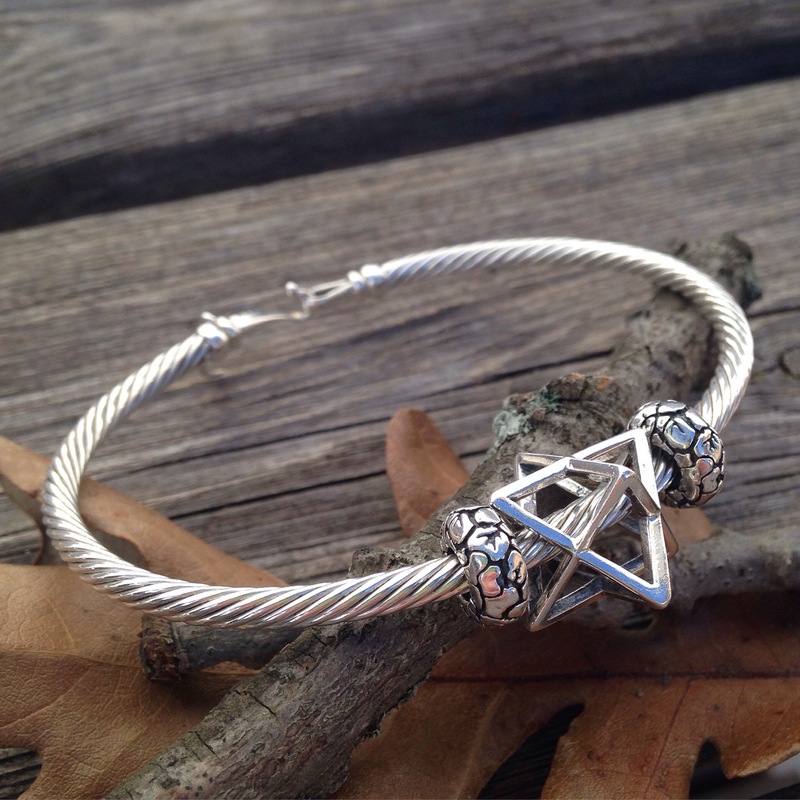 For a combo I added the X Links and the Ohm Beads bangle with Merkaba. 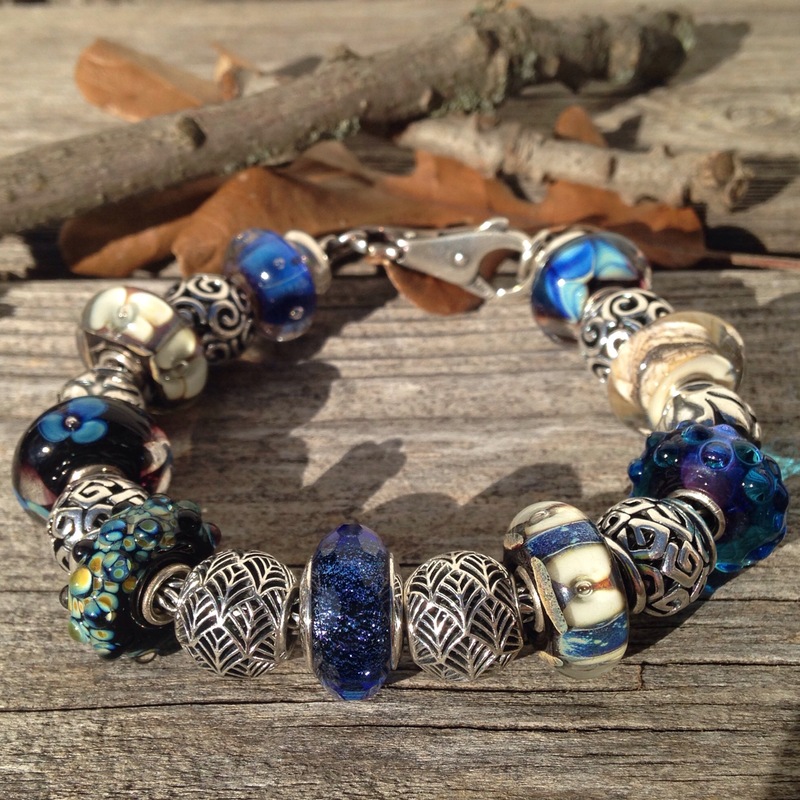 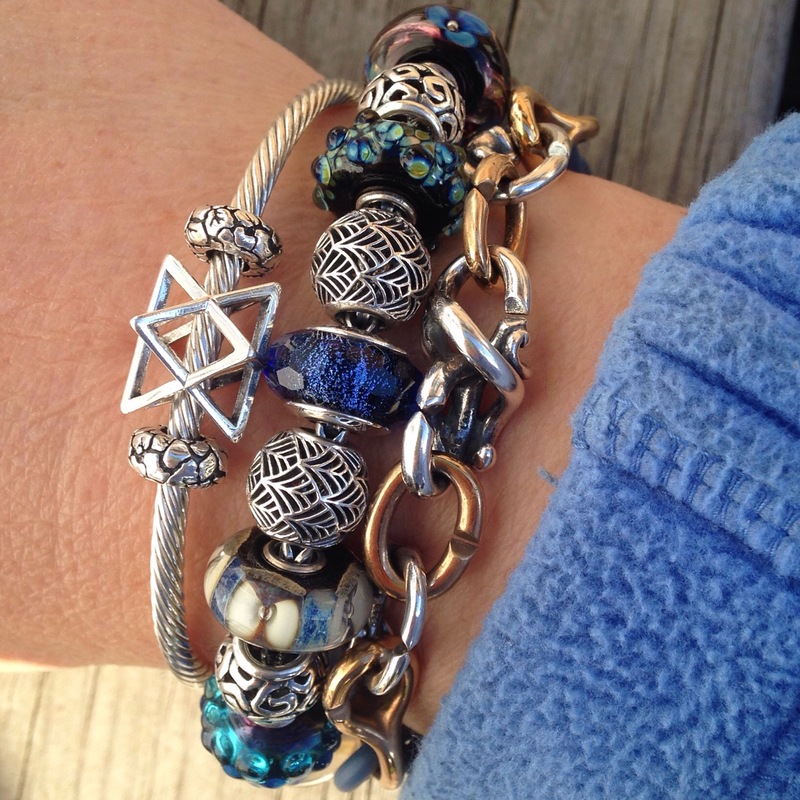 All silver beads plus the Blue Fascinating Iridescence are by Pandora. 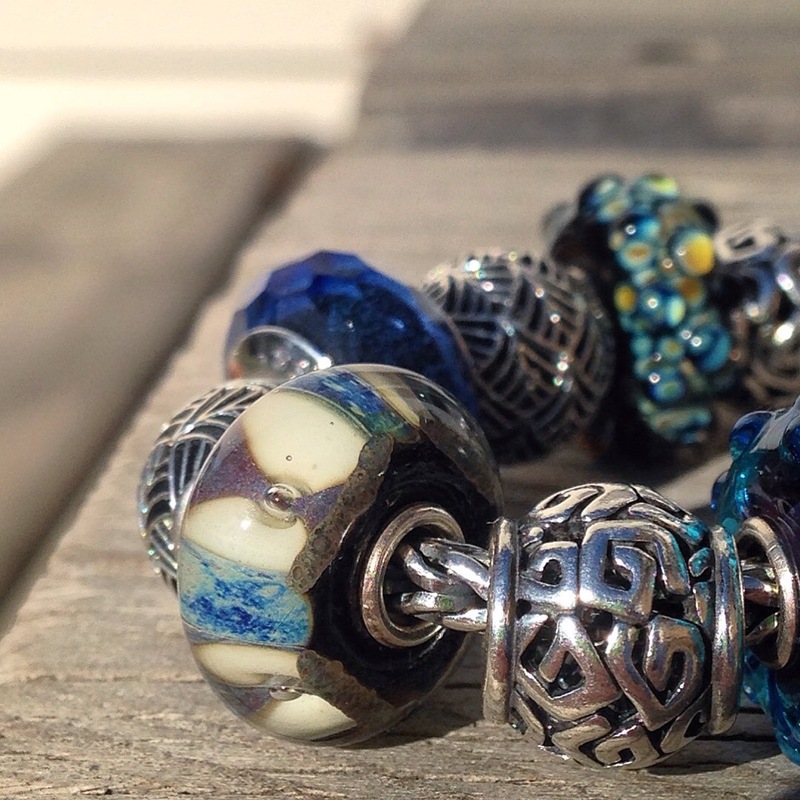 All other glass beads are by Trollbeads.